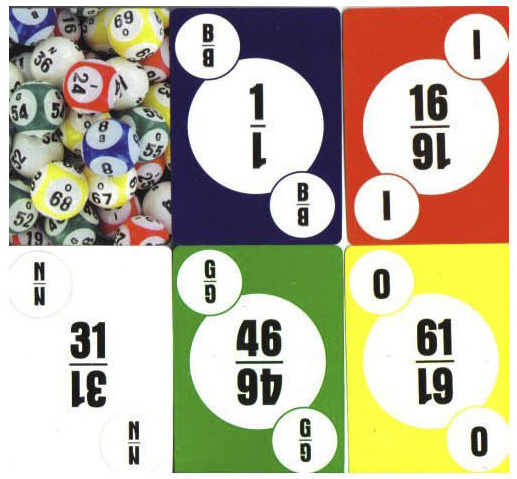 Use this special Deck of Bingo Plastic Coated Calling Cards instead of the traditional bingo cage and balls. Economical and designed to either supplement or replace the use of a cage. These cards can be shuffled just like a deck of regular cards. Each card is marked with one of the bingo numbers from B1 to 075! Just shuffle the deck, flip a card, and start calling B -I -N -G -O. Help your residents by showing them the drawn number in addition to calling it out. These plastic coated bingo cards are great for small games or when traveling! Card size: (Same size as a deck of playing cards) 3 1/2 x 2 1/2 inches. Not intended for gambling purposes.